Good morning and happy Valentine's Day! Temperatures this morning will start off in the low 50s, so a light jacket may be needed out the door. You will want to hold onto your hats throughout the day though! Winds will be coming from the southwest from 20-30mph, gusting upwards of 35-40mph. A Wind Advisory is in effect until 4pm tonight. After that winds looks to die down significantly. Highs later this afternoon will be getting into the 70s in most places, so you can shed the jacket off. A mix of sun and clouds throughout the day, so the sunglasses are also a must. Lows drop into the mid 50s tonight. Our next cold front moves through the ArkLaTex tomorrow. Rain chances look extremely low, but a light shower or two is possible. Otherwise, expect a lot of cloud cover around the area. Highs will be in the low 70s. Clouds continue into your weekend forecast. 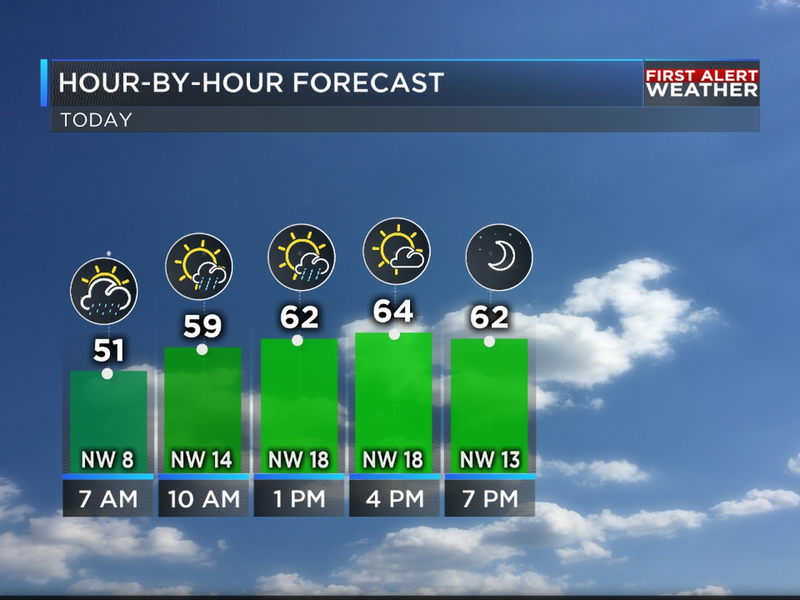 Temperatures will cool into the mid 60s Saturday afternoon. Highs on Sunday in the low 60s. A few showers possible Sunday morning, otherwise we should stay dry. Looking ahead to next week, another cold front will drop through the area Sunday evening and into Monday. This will cause scattered rain throughout the day on Monday. Keep the umbrella handy, just in case. Highs will cool into the upper 40s. Rain will be likely Tuesday, with light to moderate rain expected the entire day. You do not want to forget the umbrella that day. Highs in the mid 40s. Cloudy skies stick around for Wednesday with highs in the mid 50s. A lingerings shower is possible. Good morning! It will be a chilly start to your day with temperatures in the mid to low 50s. Plenty of sunshine is in store for your Saturday. Keep your sunglasses handy all day! Highs in the mid 70s across the ArkLaTex.